Over 2 Hrs. 40 Mins. Of Video Instruction That You Watch On Your Computer. Because this is a new item, please allow up to 12 hours for delivery to your email. In this new video series, discover solutions to the problems encountered in alcoholic relationships. We have comprised twenty two lessons in this course. There’s over two hours and forty minutes of in-depth training that gives you the tools you need to make positive changes in your relationship with the problem drinker or drug addict in your life. Free Lesson:Practicing Restraint With Alcoholics-In this lesson we will help you see very clearly the areas of your life where more self-discipline will make an enormous difference in your relationship with an alcoholic. If you feel like your life is spinning out of control, after watching this video, you will have several tools that will help you break the cycle of insanity that is causing so much disruption in your life. Free Lesson:Uncertainty In Alcoholic Relationships-Alcoholics either keep us angry or anxious. In this lesson you will learn how to conquer the fear that accompanies being involved with addicts. I explain two methods of dealing with fear and which one is the higher road to take. A few of the things discussed in this lesson are setting boundaries, communicating with an alcoholic and dismantling the fear that accompanies being in a relationship with an alcoholic. Free Lesson:How To Communicate With An Alcoholic-This lesson gives step by step instructions on how to say what you mean without saying it mean. You will learn about the importance of being aware of what our body language is saying when we are communicating with the substance abuser. We are confident that after watching the entire “Solutions For Alcoholic Relationships” series that you will be equipped to make necessary changes in your life. 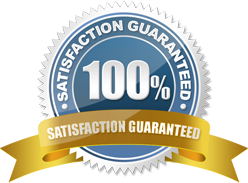 Once implemented, our techniques will have a lasting positive impact on the alcoholic, on you and the entire family. 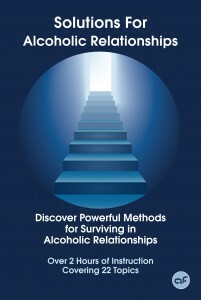 These are powerful methods for surviving in alcoholic relationships.